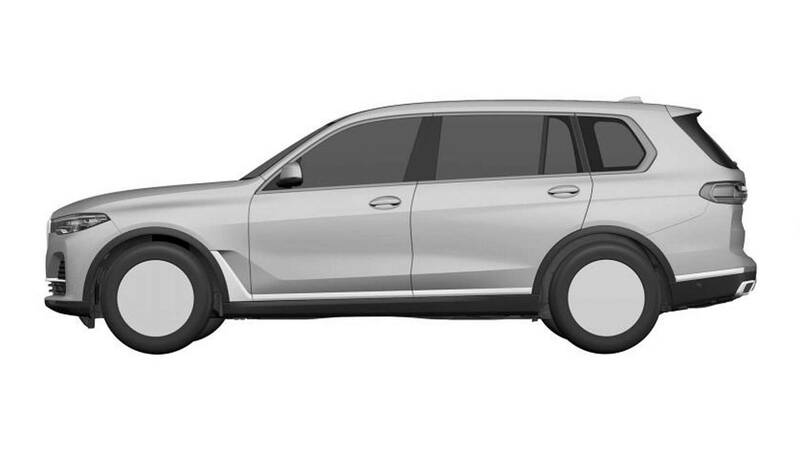 Some patent images of BMW’s upcoming mack daddy of all SUVs, the X7, have surfaced. 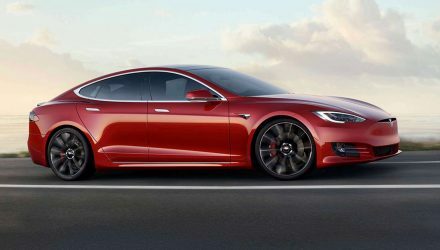 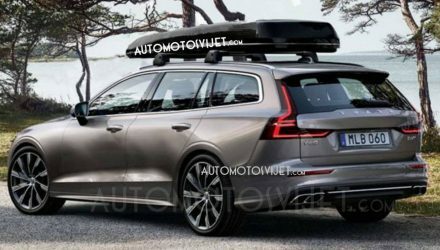 These gives us the best look yet at the production exterior design. 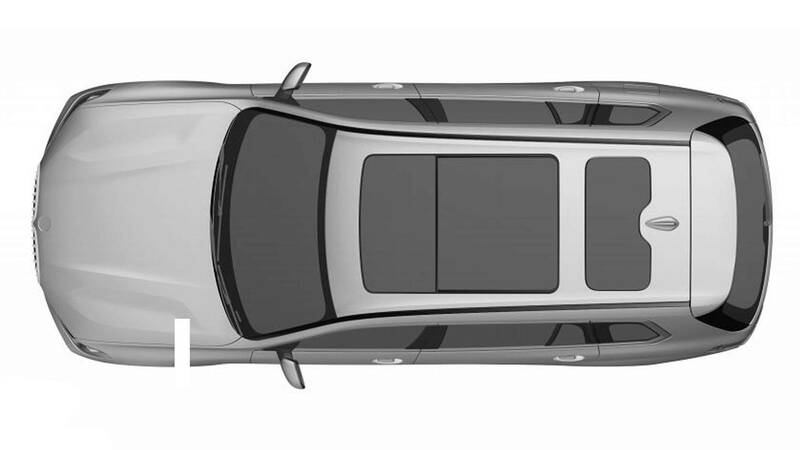 We already have a pretty good idea of what the new X7 will look like. 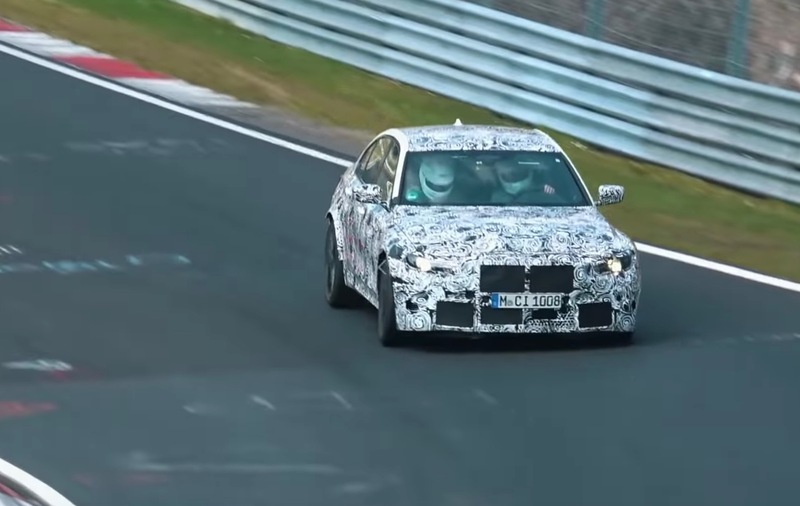 BMW has released a number of images showing lightly-camouflaged prototypes, while the company has also shown an X7 concept vehicle that previewed the overall proportions. 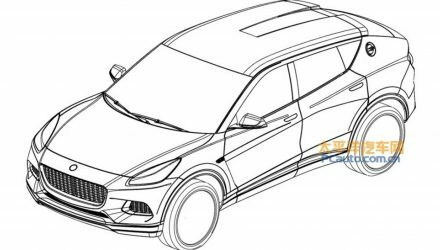 These patent images were picked up from the Brazilian National Institute of Industrial Property (translated) and posted up on Motor1, showing the raw design in digital form. 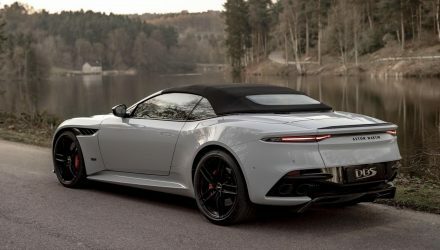 It looks like the huge front grilles from the concept will carry over, while the LED-filled headlights draw wide and thin similar to those on the new 8 Series. 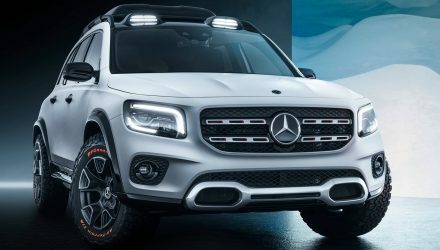 Down below, the front bumper bar looks rather bare, with a large fascia piece that connects the right and left sides, with an almost full-width intake chin in the middle. 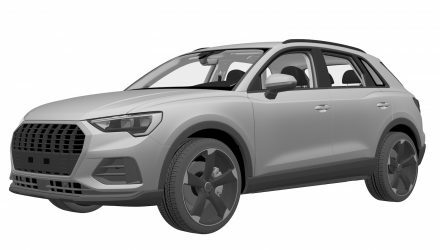 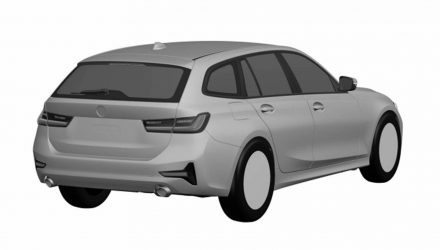 Given these patent images are likely only locking in the raw shapes and fixtures, we’d anticipate some more detailing around the front including some fog lights, and other flourishes with options such as the M Sport pack. Around at the back you’ve got very low-mounted exhausts right in the corners of the bumper bar, with a very wide tailgate necessary for a huge cargo area. 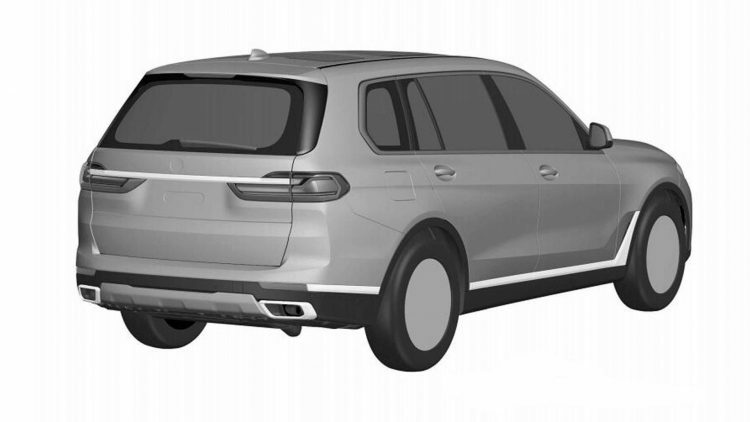 BMW appears to be jumping on board the full-width taillight trend, although slightly different as it uses a trimming piece to connect the actual lenses as opposed to full-width lenses. 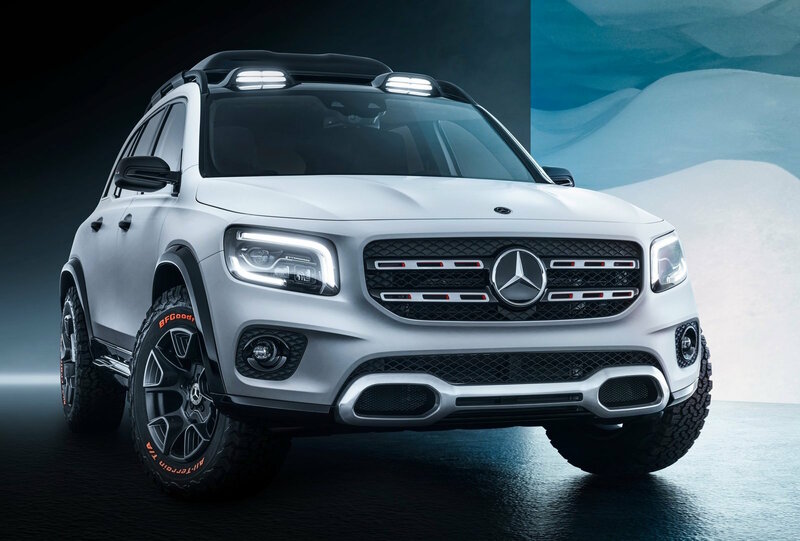 BMW has confirmed production has commenced for the big behemoth at its Spartanburg factory in the USA. 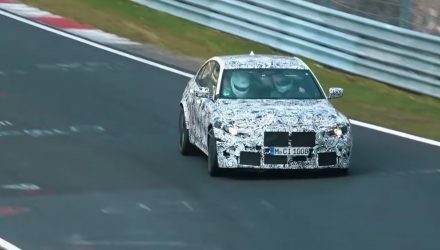 Details on the engine options are yet to be confirmed, but it is likely to be offered with BMW’s latest 3.0-litre turbo-diesel and quad-turbo diesel inline sixes, and the latest 4.4-litre twin-turbo V8 which produces up to 390kW in the new M850i. 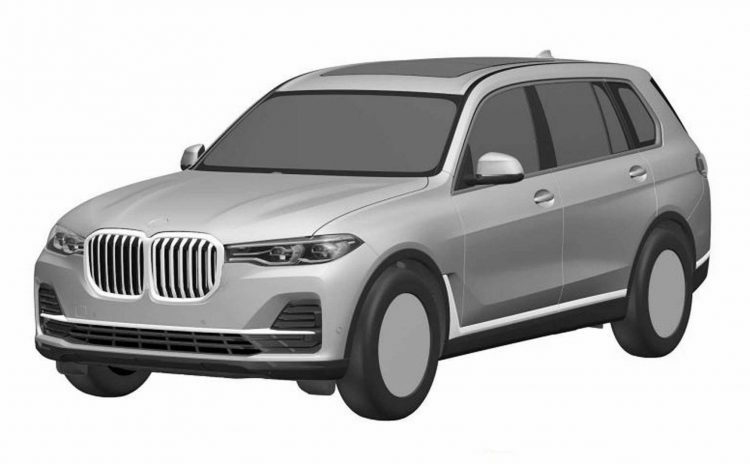 A full reveal will take place later this year, and BMW Australia has confirmed the X7 will on sale sale locally.